Instead of a full new fitted bedroom, why not have a bedroom makeover? 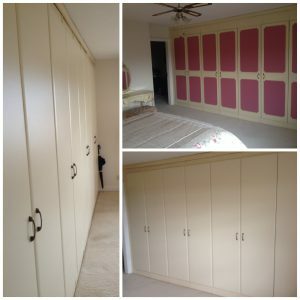 On a recent job in Aspull, we just swapped the door fronts and handles to transform the whole look of the wardrobes. We also do sliding wardrobe doors, in a wide choice of vinyl of glass colours and various textured finishes.